When water reaches 212 degrees Fahrenheit (at standard atmospheric pressure), it boils and turns to steam. This causes the space it takes up to expand many times over. There's a lot of power in that expansion, and it can be harnessed to do all sorts of work. From pushing pistons to turning dynamos. Steam could be one of the most vital products out there. And without it, Steampunk wouldn't be a thing. 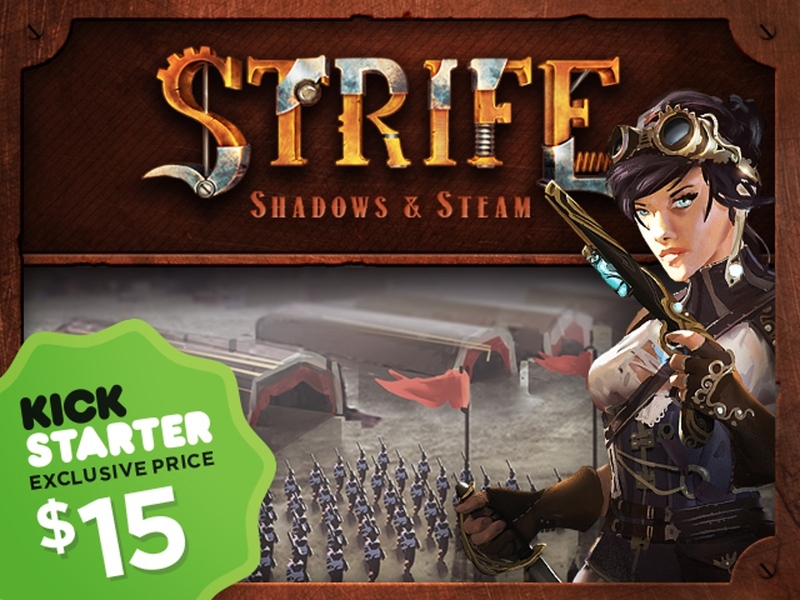 Well, thankfully, steampunk is a thing, and you can join in on some great Steampunk card game action with Strife: Shadows & Steam, an expansion to the Strife card game, that is up on Kickstarter now. V3G is running a Kickstarter campaign for their new card game, Strife: Legacy of the Eternals. They've made their funding goal, so it's stretch goals for the next 2 weeks. V3G is excited to bring you the first strategy game in our line-up, Strife: Legacy of the Eternals, by Christopher Hamm, for the low price of only $15! The MSRP on this game (without including any stretch goals we may unlock) will be at least $19.99 - so you're getting the game at a wholesale rate ($11) + shipping! With gameplay that’s getting amazing reviews, combined with stunning artwork and graphic design, there’s a ton of game in this small, portable package - perfect for any strategy gamer! Board Game Quest gives us a look inside V3G's new game, Strife: Legacy of the Eternals, in this new preview article. Way back when, 2013 to be exact, I did my first ever preview for a Kickstarter campaign. The game was IncrediBrawl. It’s a light battle card game that used a rock-paper-scissors mechanic to decide battles between a wide range of combatants. 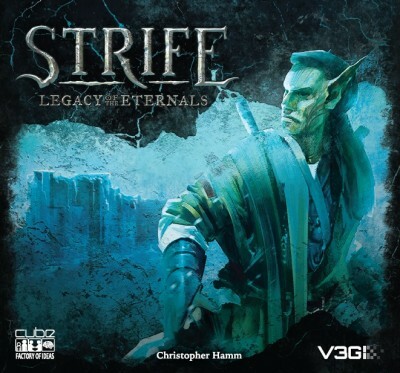 Overall, it’s a good first game from the publisher V3G and I was excited when they contacted me about their next game, Strife: Legacy of the Eternals from designer Christopher Hamm. Strife is a card game of head to head strategic combat for two players that plays in forty-five to sixty minutes. Each player is equipped with a group of ten champions that will do battle over many locations in the world of Aerim. Let’s get into the game to see if it is something you would like to support on Kickstarter. V3G made it up and over their funding goal on Kickstarter. So it's stretch goals ahoy for the next 10 days. IncrediBrawl, by V3g, has hit its funding goal of $15k, which now includes upgraded components from the get-go! With 10 days left, IncrediBrawl is marching on to knock down stretch goals that will add cards to the game for all backers and future IncrediBrawlers! First up, at $16k, is the bonus character set of the Vampire, Princess and Kraken. These fun expansion characters will add some unique and well-themed abilities to the game! Future stretch goal plans continue to add more cards to every copy of the game, along with an upgraded game box. 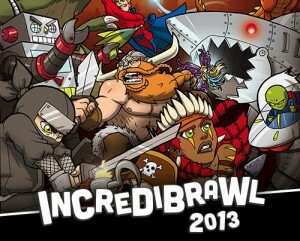 V3G has started their Brawl for it All contest in conjunction with their Incredibrawl Kickstarter campaign. Over the remaining days of our Kickstarter, we're going to let you vote on which character would win in this tournament-style matchup! Digital prizes will be given to the most creative answer/reason for your vote in each round! 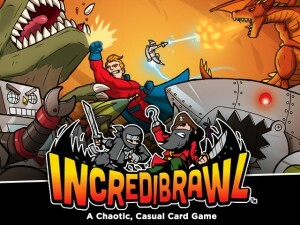 V3G just launched their Kickstarter program to fund IncrediBrawl, their new humorous card game.